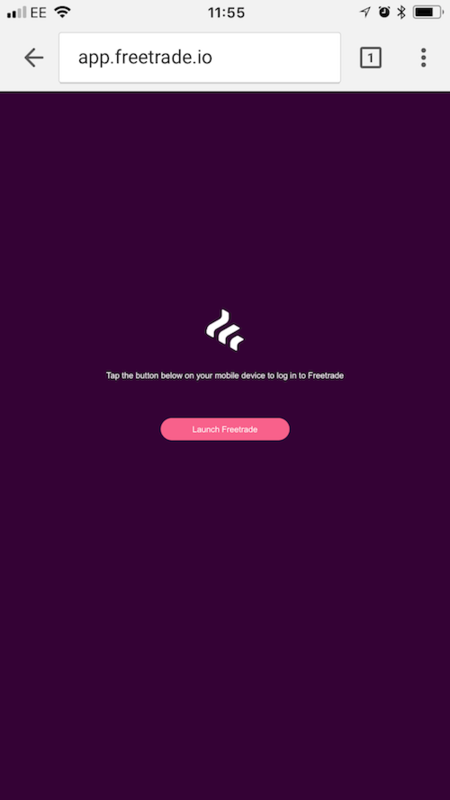 Currently, some users report that they do not get past the app.freetrade.io page when tapping the magic login link in their email. If it's your first time trying to log in, uninstall the app, restart your iPhone, re-install the app, and try again. This is a bit of work, but tends to help. If you managed to log in before, but it has stopped working, pull down the below page on your phone. An interstitial (sort of a banner) on the top of the page should appear. Tap it to proceed! Make sure you're using the Safari browser. If all else fails, hang tight. This is an issue our engineering is working on. We haven't enabled live trading for anyone yet, so you are not missing out. Starting with iOS 11.2, there is inconsistent behavior when deep linking into apps with Universal Links. It appears that a bug was pushed in this iOS version that can cause Universal Links to fail despite being properly configured. The problem is intermittent, so you may or may not be able to consistently reproduce it.